The Washington Post also won the investigative reporting prize for revealing decades-old allegations of sexual misconduct against Senate candidate Roy Moore of Alabama. The Republican former judge denied the accusations, but they figured heavily in the special election that Democrat Doug Jones went on to win. One of the biggest surprises of the day came in the non-journalism categories when rap star Kendrick was awarded the Pulitzer for music, becoming the first non-classical or non-jazz artist to win the prize. In other categories, the Arizona Republic and USA Today Network won the explanatory reporting prize for a multi-format look at the challenges and consequences of building the Mexican border wall that was a centerpiece of Trump’s campaign. The local reporting award went to The Cincinnati Enquirer for what judges called “a riveting and insightful” narrative and video about the heroin epidemic in the area. 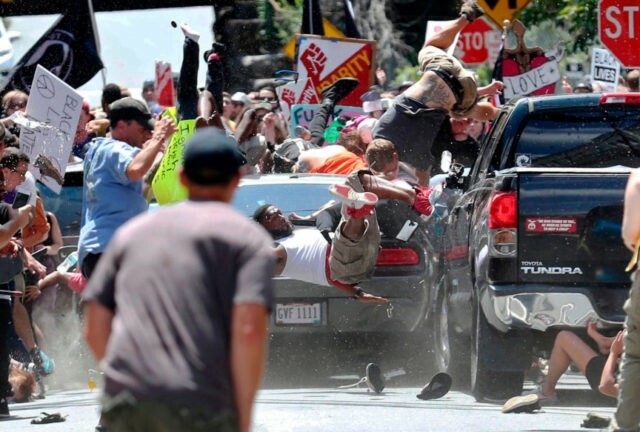 The breaking news photography award went to Ryan Kelly of The Daily Progress of Charlottesville, Virginia, who captured the moment that a car plowed into counter-protesters demonstrating against a white nationalist rally in the Virginia college town. The car killed one of the counter-demonstrators.